This elegant ring contains 3 diamonds; one from your past, one from your present and one from your future. 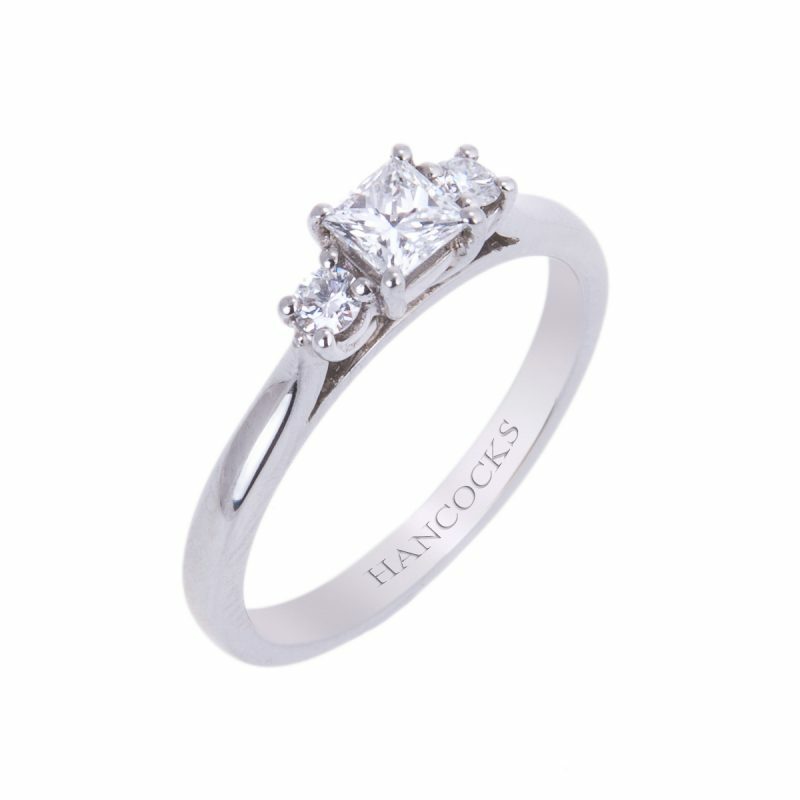 The central certificated 0.50ct princess cut diamond is mounted in a platinum hand-crafted, wedd-fit claw setting and is flanked by a brilliant cut diamond on either side, totalling 0.22ct. 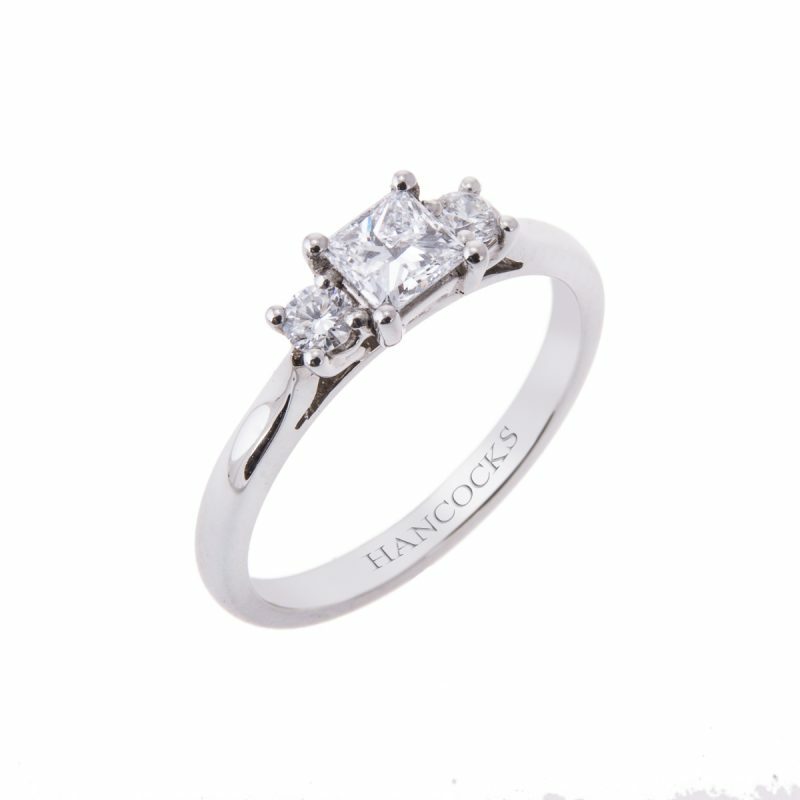 The princess cut combines the brilliance of a round diamond with this distinctive square shape, to provide a unique and elegant shape for engagement rings. 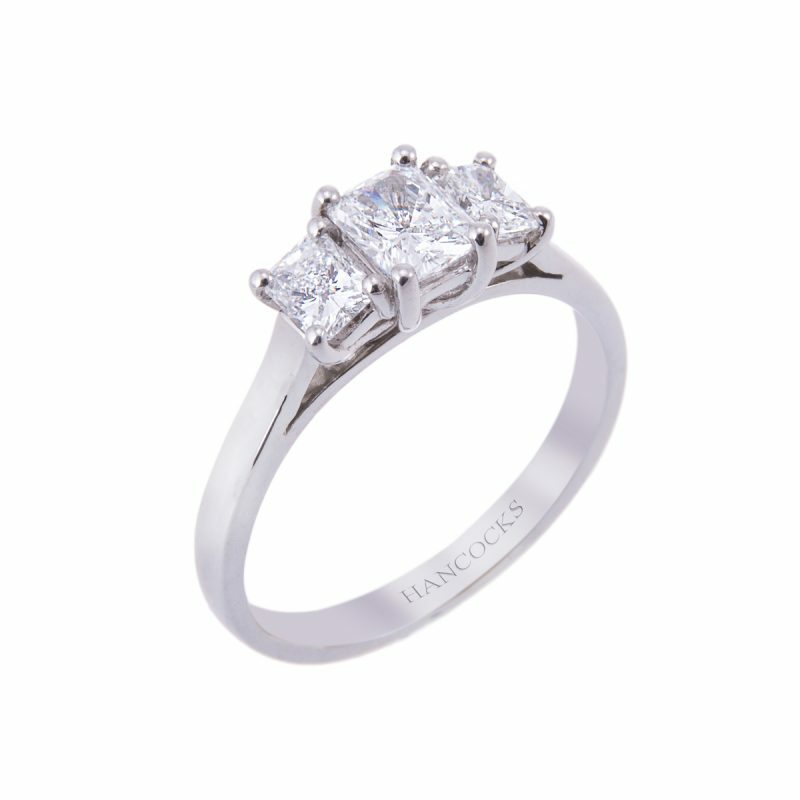 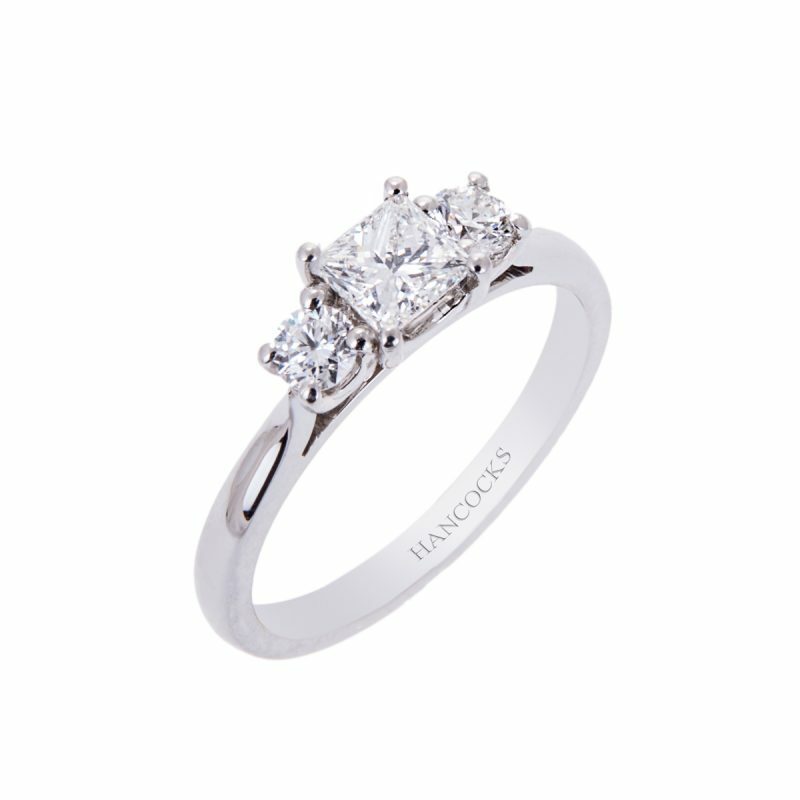 This is a beautiful ring that will sweep her off her feet.